If you’re looking for an easy weeknight meal, you can cook your pork chops in a large covered pan along with your favorite barbecue sauce. Be sure to dilute the sauce just a bit with some water. 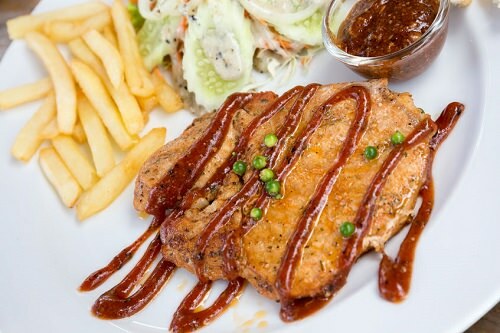 The slow simmer allows the barbeque flavor to penetrate the chops. Serve with a baked potato and salad for a simple but tasty meal.